Happy holidays! That’s right; the holiday season is upon us. And with it comes all the stress of finding gifts for your loved ones. Or more importantly, gifts that are unique and different, not the same pair of socks they got last year. While craft beer is in vogue across the country, including dozens right here in Delaware, Wilmington has its very first craft meadery – or should I say, craft winery. 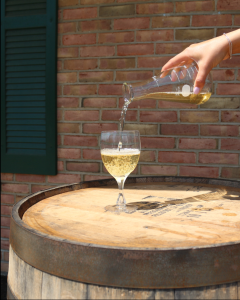 Mead is wine, or any other alcoholic beverage, created through the fermentation of honey and infused with a variety of fruits, spices and other flavorings. Pick up a bottle of Choco-Cherry-Bon-Bon, Cosmo-Naughty, Pucker-Up-Baby or any one of Liquid Alchemy Beverages&apos; many varieties for the wine lover on your holiday list or as a great conversation starter at your next holiday party. The Govatos family has been perfecting the art of making chocolates since 1894, so when you taste these wonderful treats, you experience more than 100 years of pride, craftsmanship and tradition. The recipes have been handed down from generation to generation which gives Govatos chocolates a consistent, old-fashioned quality. 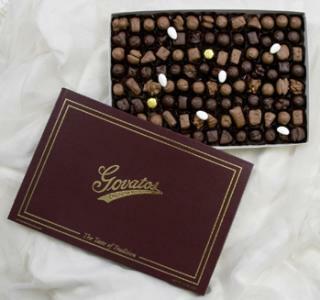 By the pound, by the ounce or by the piece Govatos chocolates are among the finest and make a sweet stocking stuffer or chic host/hostess gift. Each holiday season the volunteer staff of the Brandywine River Museum of Art turn all-natural materials into hand-crafted, whimsical and decorative critter ornaments for hanging from your tree or use as a tabletop decoration. These adorable and miniature works of art are only available during the Critter Sale, check Brandywine.org for this year&apos;s dates. But don’t fret, if you miss out on the Critters, the Brandywine River Museum of Art also offers an amazing selection of prints and posters from three generations of the Wyeth Family – N.C., Andrew, and Jamie. Any Wyeth print will make a statement in a family room, bedroom or office. As we said above, the craft beer craze is sweeping the nation. So why not serve up a re-fillable growler of locally brewed craft beer to the beer aficionado on your holiday shopping list? Peco Liquors in Wilmington, Delaware offers 16 taps of rotating craft beers with a focus on local brews, and another 500 beer offerings in cans and bottles. Delaware brews including Dogfish Head, Fordham Old Dominion, Mispillion River, and 16 Mile frequent their taps and our always fresh. The growler provides an opportunity for a beer lover to try new brews again-and-again as it can be refilled with the same or a new selection on each visit. Wilmington and the Brandywine Valley offers a diverse mix of history, culture and gardens so why not treat a loved one with an annual membership to any of the area’s amazing attractions including, Longwood Gardens, Winterthur Museum, Garden & Library, Hagley Museum, Delaware Art Museum, Delaware Museum of Natural History, or Mt. Cuba Center. Membership allows for visits throughout the year to explore ever-changing exhibits or enjoy nature’s seasonal colors. Many of these attractions offer amazing outdoor spaces with miles of walking trails and vantage points for bird watching. Plus, annual memberships provide additional benefits such as special guest rates, early access to special event tickets, members-only events and so much more. A museum or garden membership is the gift that gives all year long. And remember, shopping, dining and entertainment are all tax-free in Delaware. Learn more about our tax-free shopping here.